Industrial hemp can grow more than ten feet tall. The plant, which can resemble marijuana grown for medical or recreational use, usually lacks THC, the chemical that gives users a high. Hemp plants look similar to marijuana because of their leaf shape, but the plant lacks the intoxicating chemical compound THC. It’s instead grown for its fiber and oil. Hemp seeds increasingly are being included in cereals, granola bars and protein powders. 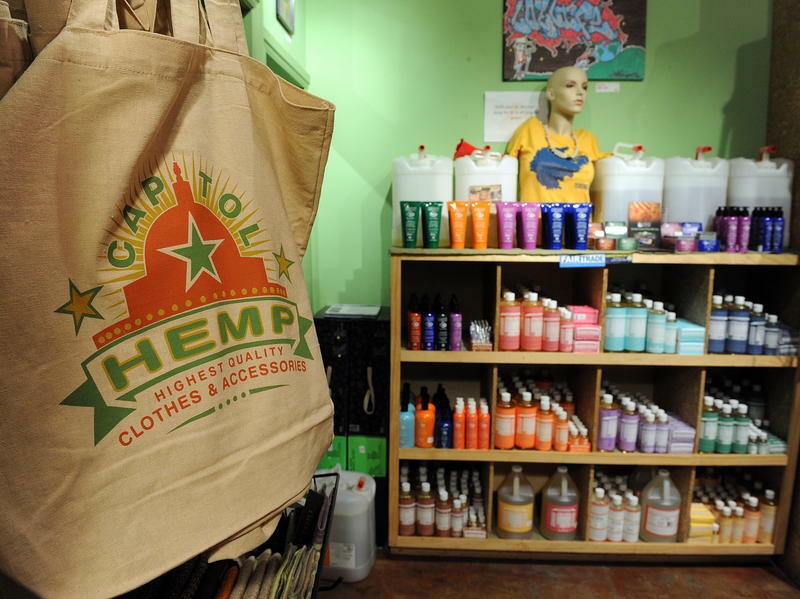 Hemp oil shows up in personal hygiene products like lotions and salves. The plant’s fibers can be processed into clothing, rope, even automobile interior fabric. Because the plant is still illegal at the federal level, Colorado law requires growers register with the state. Hemp’s been receiving considerable hype since voters approved its cultivation along with recreational marijuana in 2012. Proponents call it a “miracle crop,” able to withstand drought conditions and with probable untapped market potential. Pair that market volatility with a shortage of seed. Some growers report spending five dollars per seed right now. Those who have some seed say their phone is ringing off the hook from potential buyers. It’s still technically illegal to import viable hemp seed. Few, if any, large-scale farmers who plant corn, wheat and alfalfa are adopting the crop this year. The U.S. Department of Agriculture has yet to assure farmers their federal subsidies wouldn’t be interrupted if they chose to grow the plant, still considered a controlled substance. The latest Farm Bill signed into law in February 2014 gave some direction. The law defines industrial hemp as different from marijuana as long as any part of the plant remains below a mandated level of THC.